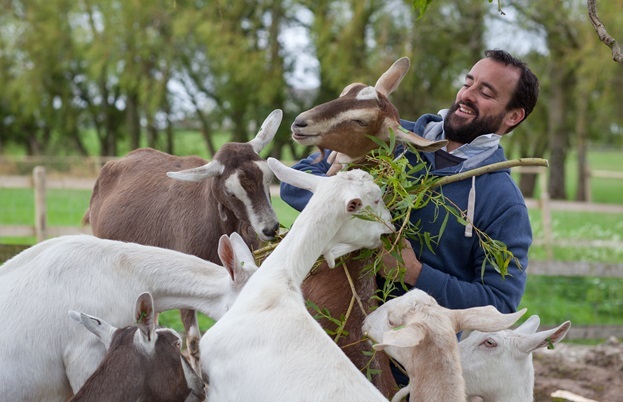 Tom Shingler sits down with James Whetlor of Cabrito Goat Meat to learn how he single-handedly created a demand for a new, ethical ingredient – all from four goats on a small patch of land in Devon. For any chef, being knocked off your bike while working in London and having to take a year out would be a huge blow to your career. 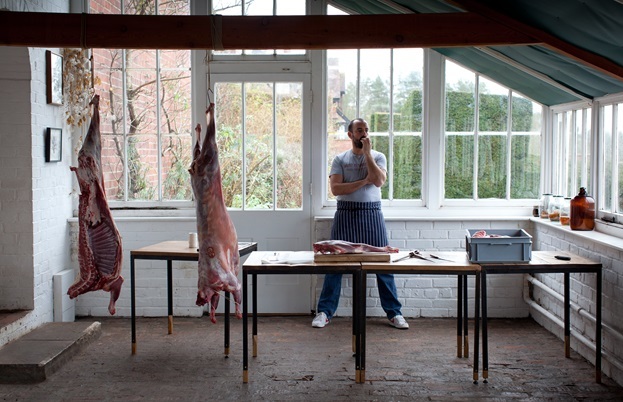 When it happened to James Whetlor he certainly wasn’t over the moon, but it was the first in a chain of events that led him to setting up Cabrito Goat Meat, a company that now supplies top restaurants and Ocado. 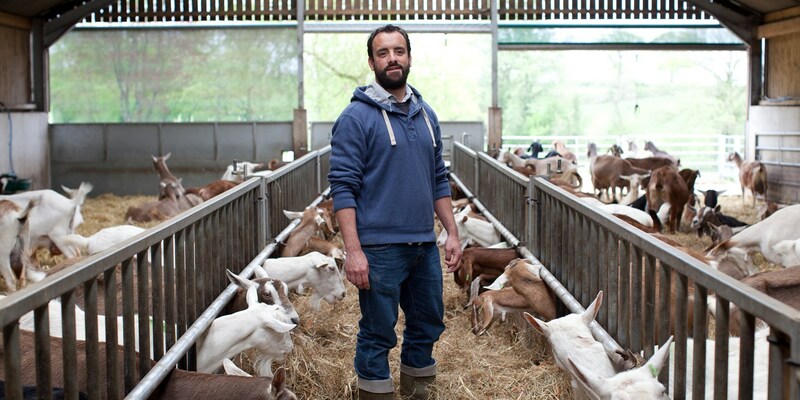 James continued to buy billy goats, saving them from needless slaughter at birth, and sold his first to Jeremy Lee at Quo Vadis in April 2012. Places like St John and Bocca di Lupo soon became customers as well, and by the end of his first year James had bought and sold seventy. It wasn’t just a case of buying the goats from farms – James had to convince the farmers to spend time and money rearing them to a large enough size. ‘If goat isn’t selling in a restaurant, then a chef can just serve it as a staff meal,’ he explains. ‘But if the demand for goat meat suddenly dries out, then there are farmers with a thousand goats on their farm with no one to sell them to. 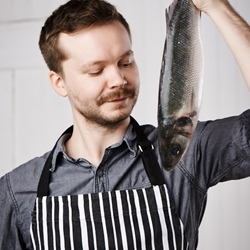 Convincing people to take that risk wasn’t easy.’ But James managed to set up enough links between farmers and chefs to make it work. 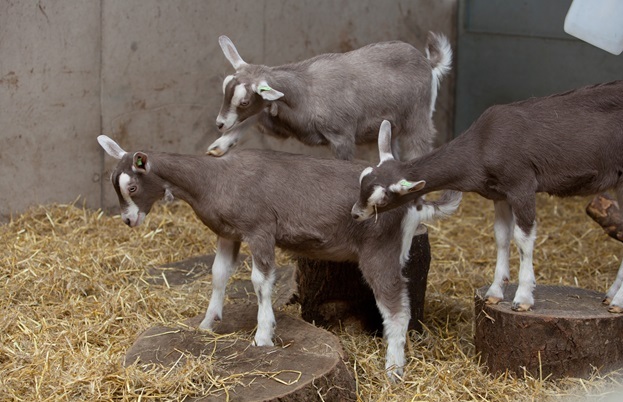 The birth of this new industry – raising billy goats for meat – was completely new to the UK, and just three years later there are nearly 10,000 being reared annually. James and his company have been at the forefront of everything, linking farmers with restaurants and retailers. James suggests cooking the meat just like lamb at first, then experimenting with different flavours. 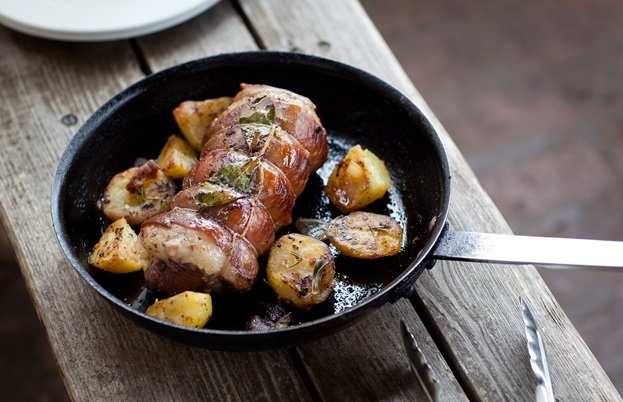 I know goat meat will never replace pork, chicken, beef or lamb, but if we can make it as common as partridge, guinea fowl and venison, then that’s all we need to do. The reasons why we should be eating goat meat are numerous. But why has it never caught on in the UK? ‘There’s never been a British culture of eating goat meat – we’re a sheep farming nation,’ says James. ‘The UK had a massive wool industry, so there was no reason why shepherds would look after goats when a sheep’s fleece was worth so much. We were also never invaded by the Moors, who were known to introduce goats from North Africa to Europe. No one has tried to introduce a supply of goat meat in the UK before us because there was no demand, but there was no demand because no one was supplying it. It was a true Catch-22 situation.